A lot of benefits with this module. Your customers can show your product to their friends, colleagues, etc. They are able to check your products details without network connection (because they can download your PDF files before). For B to B, your customers could present your products to their customers without problem to hide you (because you are their supplier). 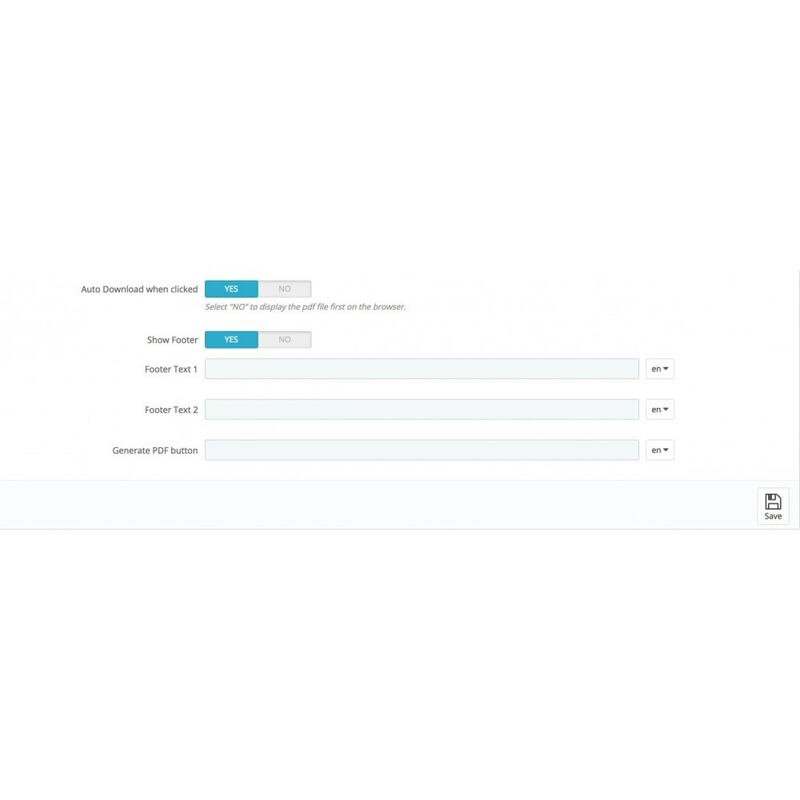 Last but not least, you can generate PDF for yourself or your team for each product you have in your website. If you have sellers or point of sales, it can be a good option to show them to your customers easily. For B to C or B to B, customer obtains advantages with this module. He is able to download product's file and can check them when he wants. 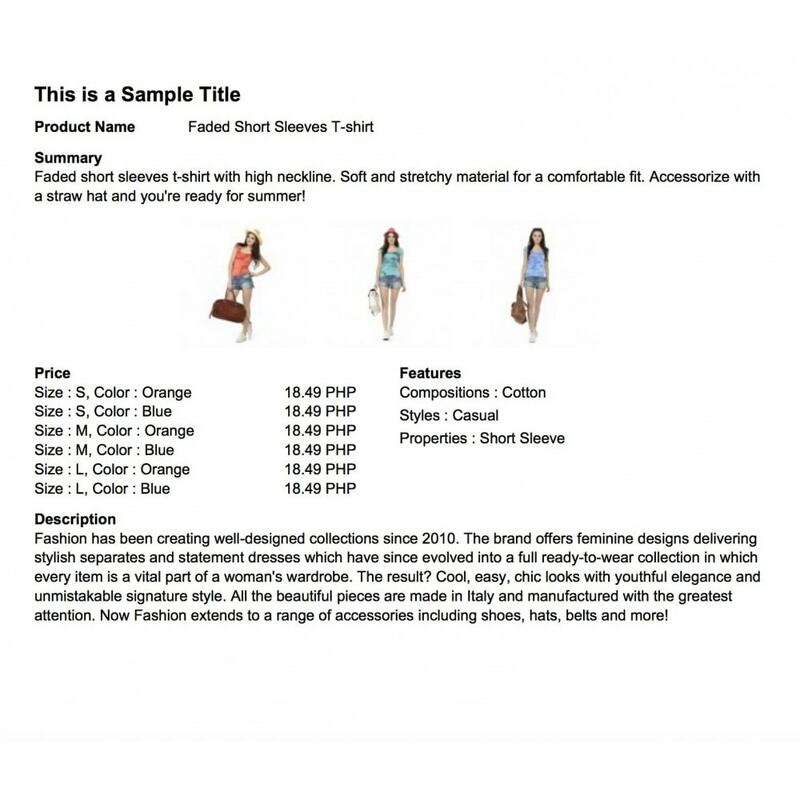 With PDF, he can present easily product to their friends or family for final customers. For professionals, he can do same for their customers of for their colleagues when they have to choose a product (meeting for example). 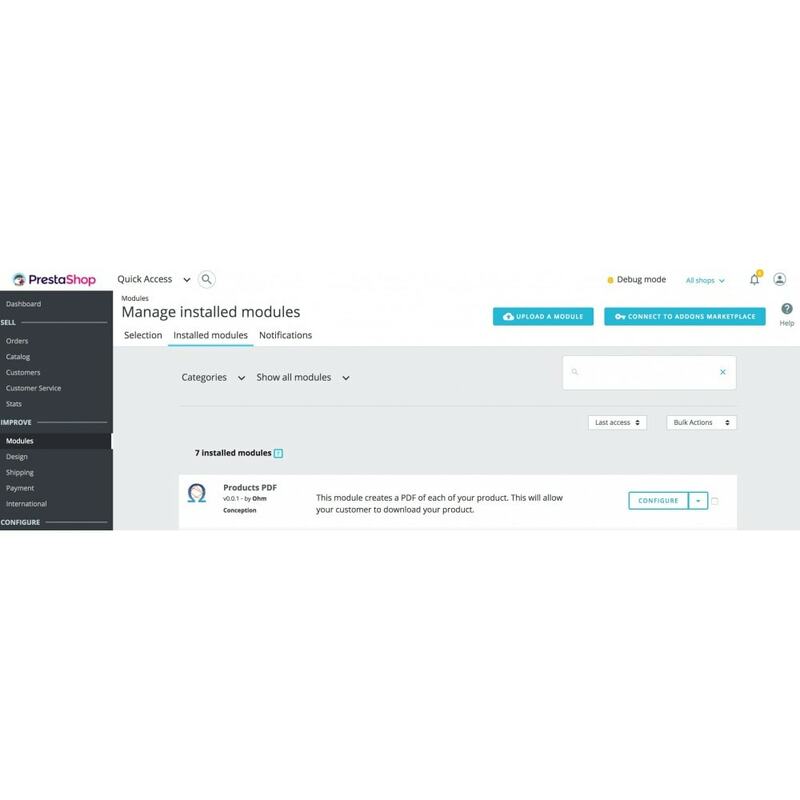 Installation from the back office of your Prestashop. 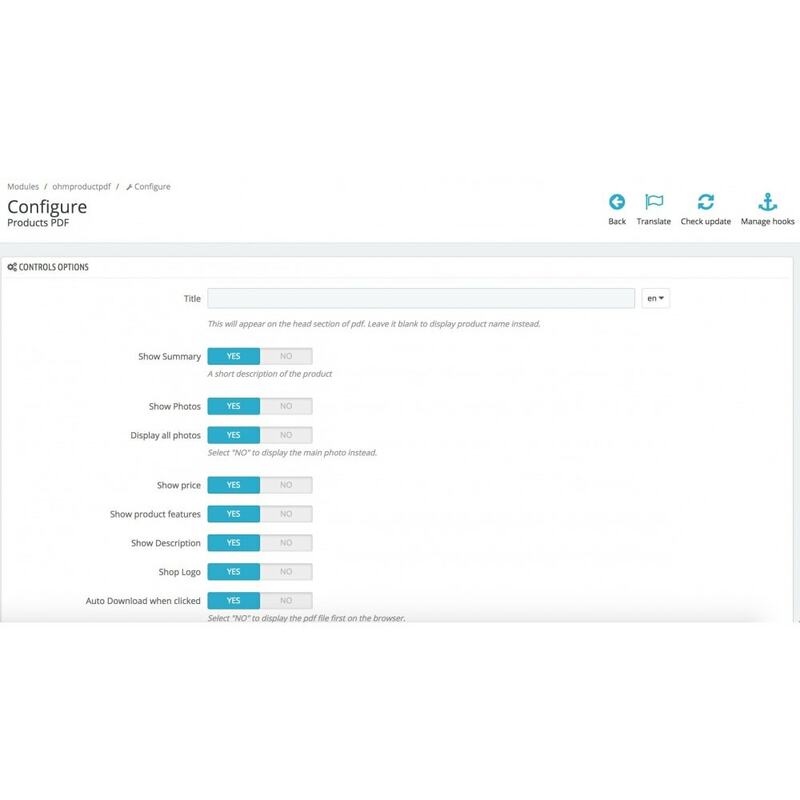 After, that you can entirely configure it (you find it in the module's list in back office).